Hello my lovelies! You can’t imagine how hard it was not to show you this dress before it was finished and properly photographed! I’m just so excited about this dress! I love the fit, the colour and fabric and it was just the best thing to wear in this hot weather today. 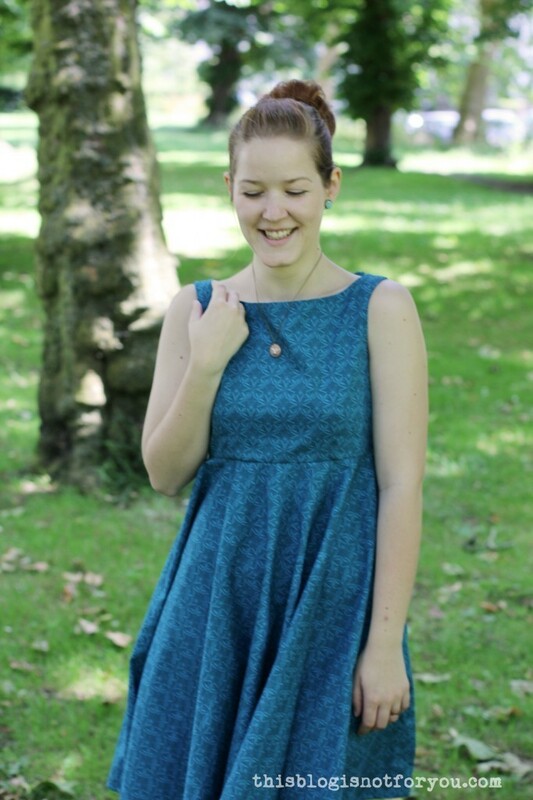 And, not to forget, I made this dress at John Lewis’ sewing bee last Saturday. The sewing bee was amazing and I enjoyed every minute of it. I met some awesome sewing ladies and wasn’t in the slightest disappointed that I didn’t manage to finish the dress that day. At least I had overlocked all seams by then! 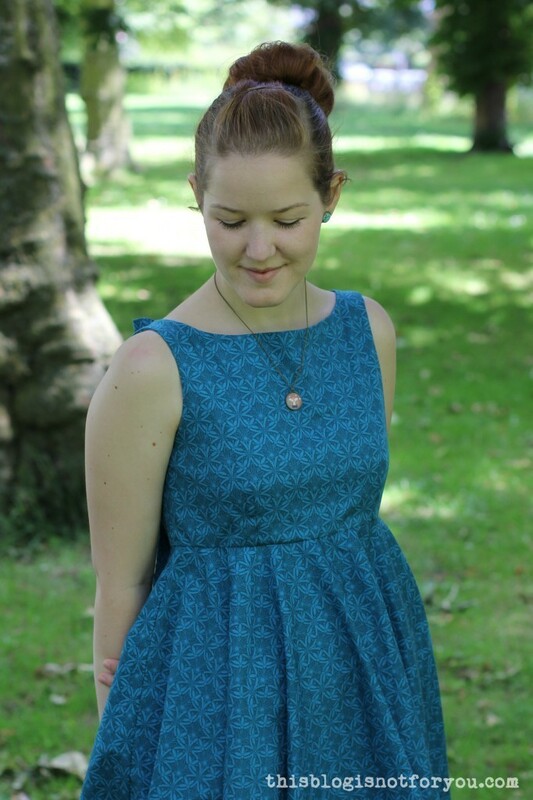 My very first time using an overlocker; all I can say is I’m in love! 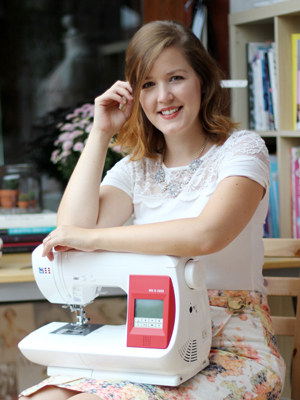 I had the chance to try John Lewis’ Janome 9200D overlocker and I’ve been eyeballing it since then. The moment I start my new job this baby will be miiiiiine! When I came home I still hat to restitch some parts of the bodice and lining, put in a zip and shorten and hem the circle skirt. Also, the bow in the back turned out to be more complicated than I thought. 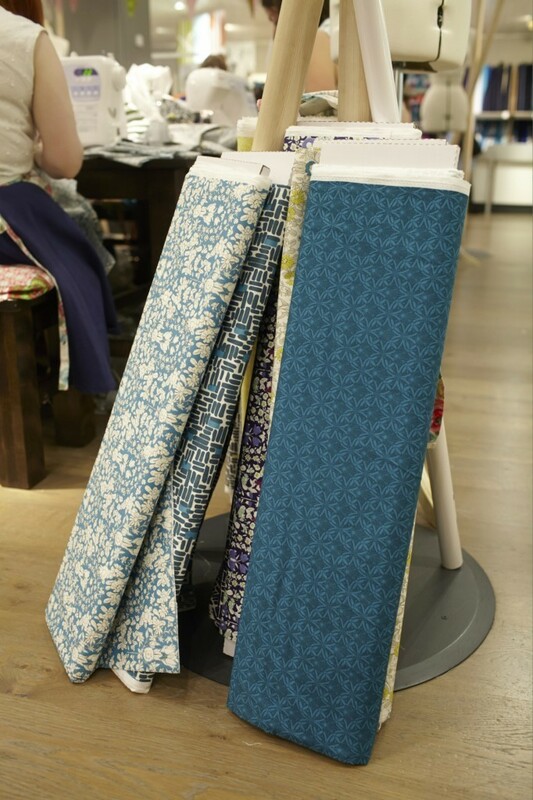 Fabric: John Lewis had a great variety of heritage print cottons from their 150 collection for us to choose from. I decided to go with a turquoise Cummersdale print (in reality it’s much greener than in the pictures – this colour is really hard to photograph). 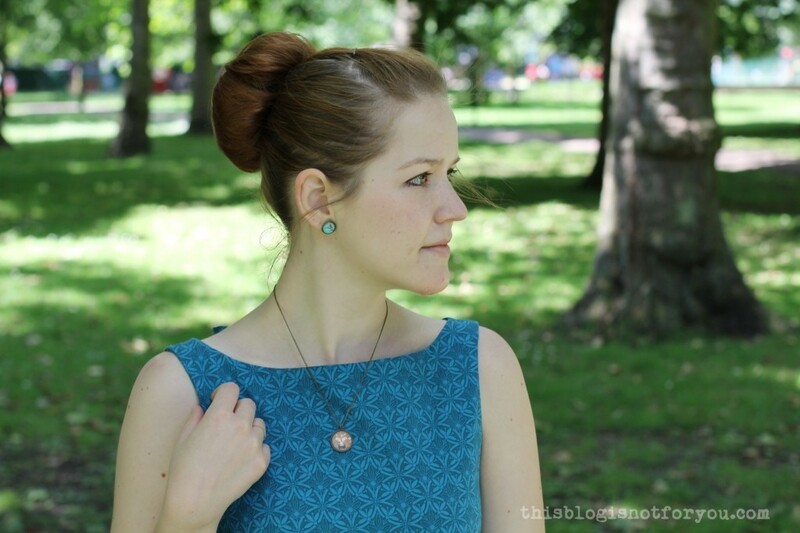 The fabric is super soft and perfect for hot summer days. Anyway, let’s talk about the pattern! 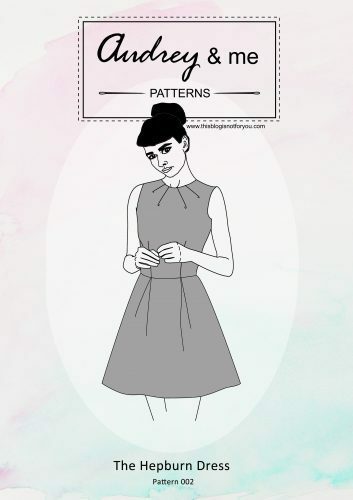 Pattern: I went for a Vogue pattern V1102 which is backless, has a high waist, a circle skirt and a massive bow in the back. It was definitely the bow that made me pick this dress without thinking. I didn’t even realise it was backless until I started cutting out the pattern. It must have also been the Audrey-ish impression of the dress itself, because I think the garment pictures on the envelope are just awful. Seriously, was she not allowed to smile or move her arms naturally or use some powder on her forhead? Hmm. Poor missy. 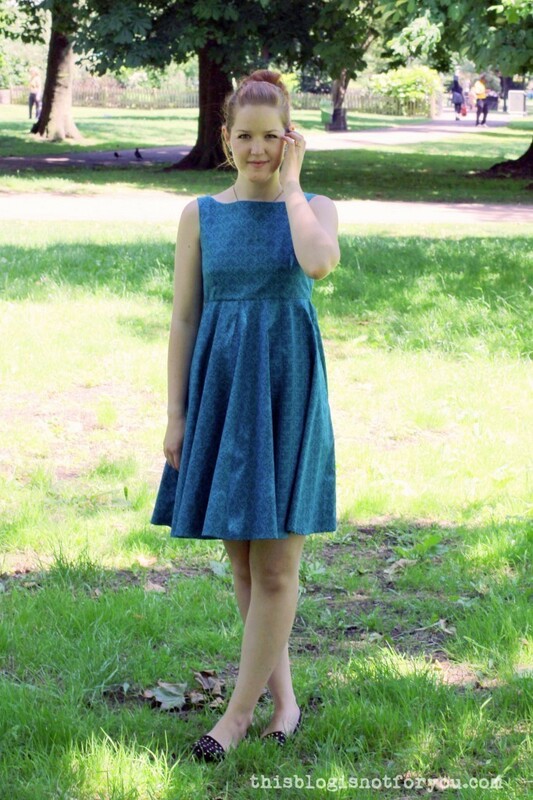 Also the measurements indicated I needed to cut out a size 12, Lisa told me that Vogue patterns usually fit quite loosely and since I didn’t have to worry about my hips measurement in this dress, I went for size 10. Luckily! The dress was still a bit wide and I had to take in the lower back a bit. There were just a few issues with this dress. 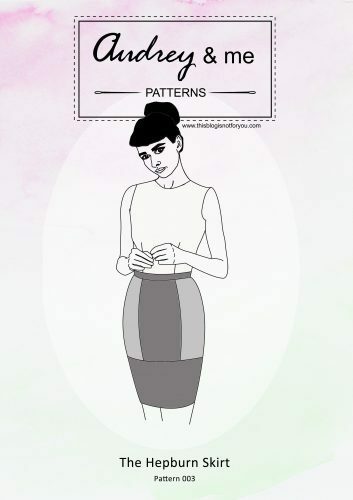 The pattern instructions themselves were quite confusing and misleading as they were using sew-in interfacing which Amy (who was also sewing the dress) and I didn’t realise until after we cut out the pattern pieces. During the fitting (without the bow) there was some gappage at the neckline we managed to eliminate. The instructions suggested simply hemming the bow pieces. The back of my cotton fabric was too bright and didn’t look too good and since I didn’t want it to show in the back I decided to sew the bow as a tube instead and turn it inside out. This way it looks much nicer, but the bow is quite heavy and was complicated to tie. Instead of tying it, I used a little strap of fabric and folded and stitched the bow into place. The weight of the bow keeps dragging the straps from my shoulders towards the neck a little bit, which brought the gappage back in the front. Well, I can live with that. 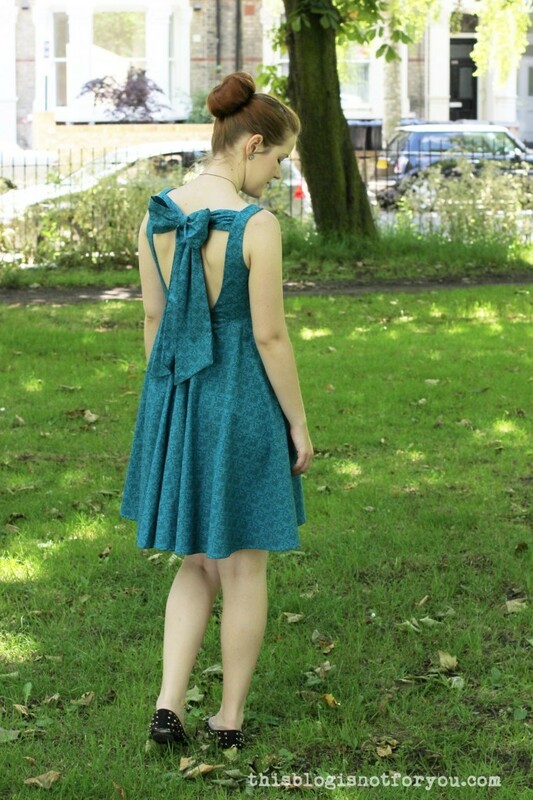 Another problem, which I didn’t realise until I went outside: This dress is not a friend of windy weather. The light-weight cotton plus the high waist really help the wind blow up this dress for a true Marilyn-moment. Maybe I should sew myself some matching knickers from the leftover fabric. 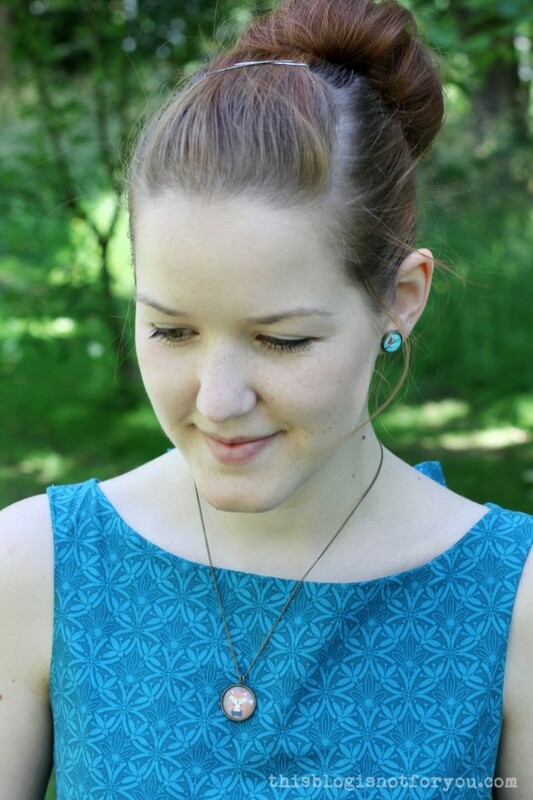 I just love this dress and hopefully will be able to wear it on many occasions this summer. I also love my new handmade jewelery – some of the materials are courtesy of my new sponsor, which I will introduce this week! Oh wow this is beautiful. The colour really suits you and I love how your bow turned out. I definitely agree about windy weather being an issue! Thanks Amy! I love your version!! 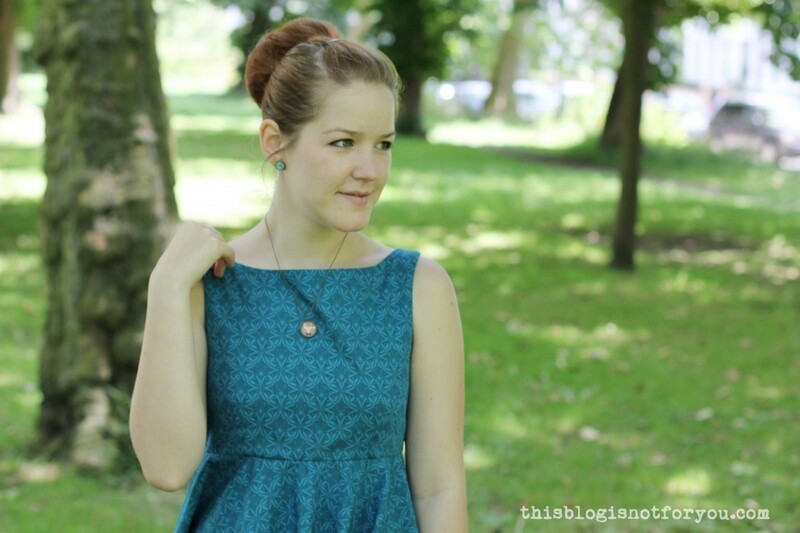 The cut of that dress is beautiful on you- & what gorgeous photos!! Just gorgeous! 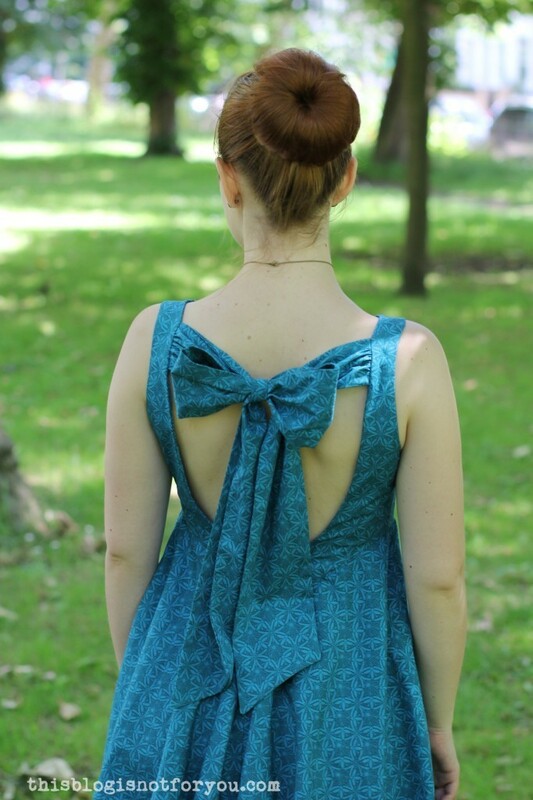 I really love the back detail on this dress and the bow is lovely. You look fabulous! Thank you, Claire! I loved your Allie Top! 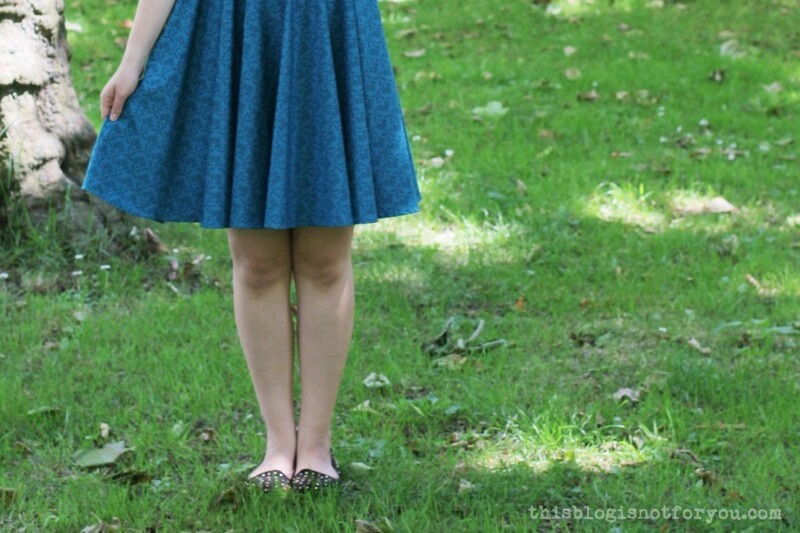 You really did an amazing job on that pattern hack! OMG i’m speechless. That is such a beautiful dress on you. 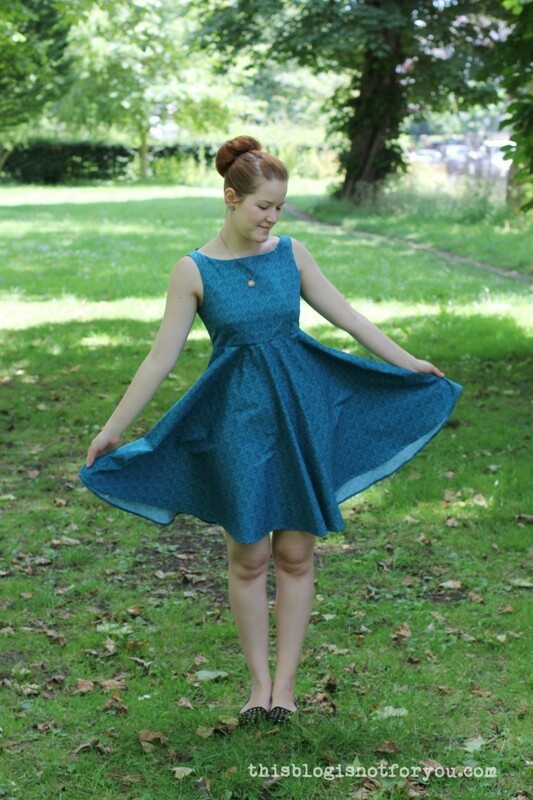 The colour of that fabric is amazing and the shape looks perfect. I’ve just seen Amy’s too and I think you both did a great job. I’ve made this pattern a few times before and always been really annoyed with the bow (I always made a tube too), but your versions have inspired me to consider it again! Wow I love this! Especially the bow, you look very elegant. I want this pattern now! I love it! Maybe the model had a bit of a sweat on from the weight of her bow? So pretty! 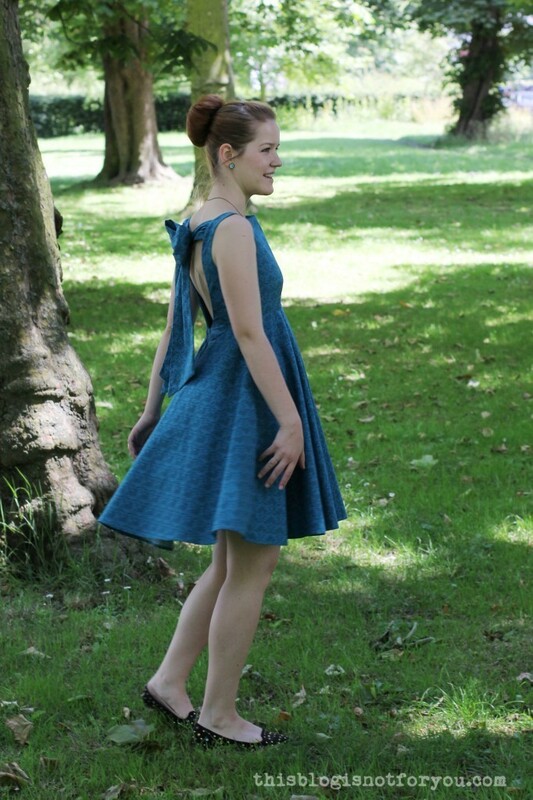 I’ve just seen Amy’s version of the dress and they’re both making me want to sew one for myself, but I’m not quite sure I’m brave enough for a backless dress. It looks great on you though! I’ve been reading your blog for a while! 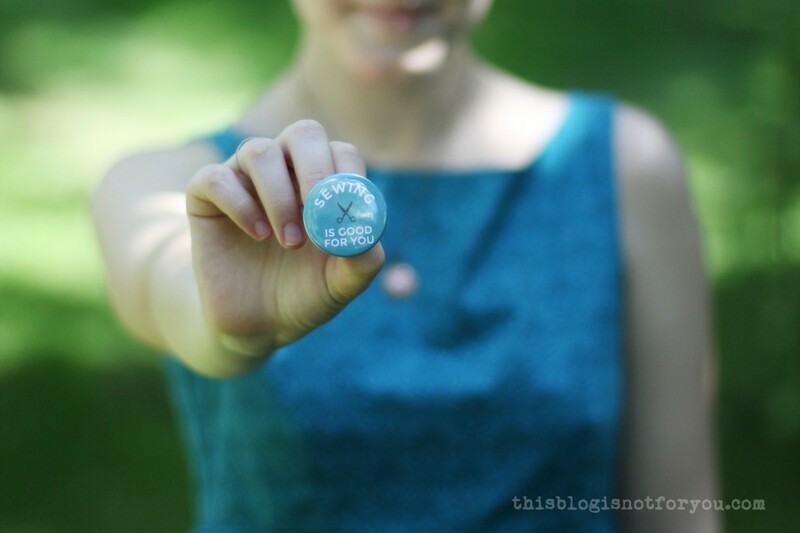 I always love your posts! 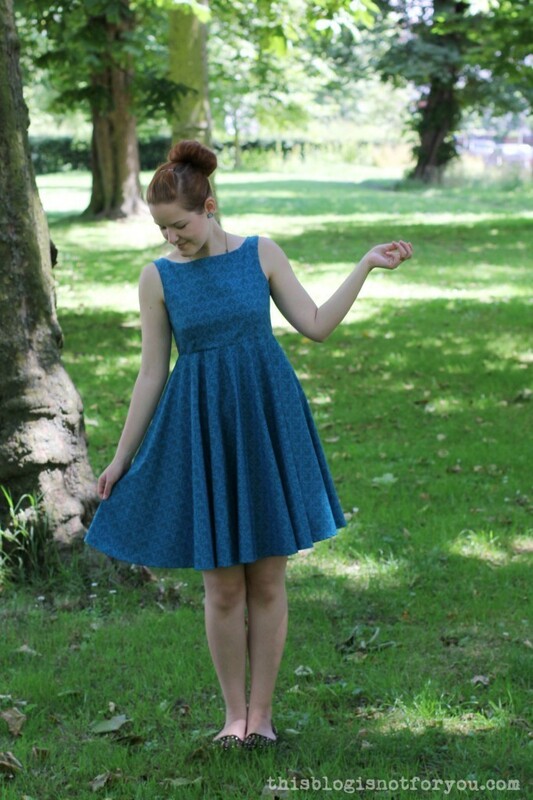 This is such a beautiful dress on you, the colour and print is amazing. You are so right, those pictures of the dress are awful. The model looks so so unhappy! Thankfully your pictures are gorgeous! 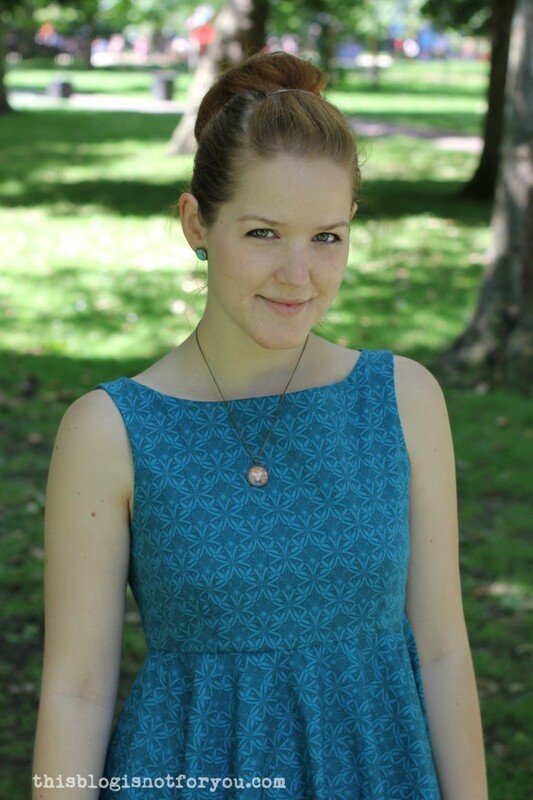 Hey, was für ein süsses Kleid- und erst das Model!! Ist das ein Schnitt von Dir? Der Stoff ist echt schön. Der Propeller auf der Rückseite ist ja gewagt. Typisch Lotti! Such a beautiful dress, that bow at the back is really dramatic but wonderful! That dress is gorgeous! Well done! The photography is also very very good! Portrait quality! This is so beautiful and flattering! I’m a new reader, over from Project Sewn, and I’ve been reading backwards from the front page and this is my favorite make yet. I want one. : ) Though, as is everyone’s favorite question to be asked by a complete stranger, how does this work with a bra? It looks fine but I wasn’t sure if you worked some magic with a lining or something.